Click here for more photos of this bird. 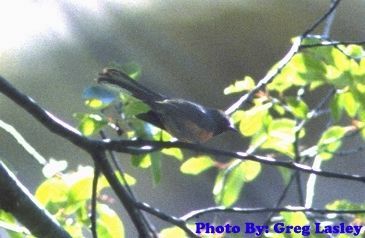 First photographic record for Texas. Found by John Karges, Francie Jeffreys, Chuck Sexton, and Greg Lasley. This photograph was taken under very difficult lighting conditions with 200 speed Fuji slide film but was enough to elevate the species from the presumptive list to our state list.